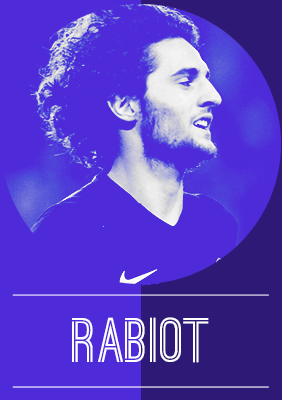 Introduction: Adrien Rabiot is a French footballer who plays for Paris Saint-Germain. He was born on 3rd April 1995 in Saint-Maurice, Val-de-Marne, a southern suburb region in Paris, France. He has been in several clubs during his youth career including Manchester City and Toulouse. He is a midfield player often deployed in central midfield position. At the age of 20, he looks quite a promising and quality player. He has appeared for PSG in 13 Ligue 1 matches and 3 Champions League matches. His passing ability and vision has resulted several English clubs such as Tottenham and Arsenal circling around to get his signature. Analysis: Amongst the Ligue 1 aficionados, Adrien is known for his ball control and dribbling skills. Deployed at the heart of the midfield, he is often observed to have high accuracy of passing and possession, providing decisive passes and creating chances. As a dribbler, he can bring the ball out from deep while off the ball, he harries the opponents and often steps into challenges. Statistics reveal that he has an interception rate of 1.8 in Ligue 1. His feet are fantastic and has a soft touch on ball. He has an aggressive approach to midfield play. He’s able to take the ball in tight areas and keep the attack turning over, either holding off markers and recycling play or surging forward. During the Angers vs PSG game, he was played as a defensive midfielder for full 90 minutes where he managed to keep a passing accuracy of 91% creating a chance and also, a couple of successful crosses. He has an overall passing percentage of 90.0 in Ligue 1 and 89.8 in Champions League which shows his passing prowess. He is 1.89 m tall which gives him an advantage in aerial duels. A look at statistics would show that he has won 67% of the aerials duels in Ligue 1 (13 matches). His game style is quite physical at times and often finds himself in the referee’s book. He has had 3 yellow cards and a red card in just 13 Ligue 1 appearances for PSG. Looking ahead: In spite of enormous potential, Adrien still has to improve a lot and most likely won’t get in the squad for Euro 2016. Because of his central midfield role, which is already crowded with the likes of Pastore, Veratti and Matuidi, he simply will not get enough playing time. If given more time, he is going to transform into a great playmaker. He has a lot to offer to the French National team. With his versatility of positions in midfield, he will surely earn a spot in National team in the future. Introduction: La Masia has produced star after star in the last decade or so, and despite being hit with a transfer ban for signing foreign under-age youths, it is at home where talent continues to emerge. One such talent which has developed is Sergi Samper. In the mould of Sergio Busquets, the incumbent defensive midfielder in the first team, but not truly so, Samper is a joy to watch. Only 20, he is stuck between the chasm of the main team and the youth team. 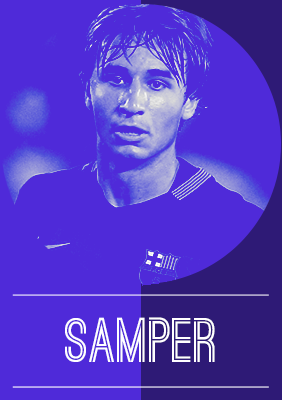 Regular and consistent gametime is what stands between Samper and the top. Having been at Barca all his career, he is Catalan through and through. How Cules would give for Samper to success at his hometown club. Analysis: Samper’s immaculate touch, vision and maturity on the ball is what stands out in a team which has been beset by an astonishing group of home-grown midfielders: Xavi, Iniesta, Busquets, Thiago and now Samper. And while Samper’s road to the top has been blocked by Busquets, the young Catalan has taken it as an opportunity to learn from the best, studying his senior’s game in detail, pointing to his dedication in bettering his game. Samper possesses a wide passing range, spanning from the accurate to the impressive passes, while his footwork and ball control is also sublime. He displays immense confidence on the ball and is aware of where he has to be positionally when he does not have the ball. Similar to Busquets, he can feint in and out of the way with his turns. However, he is not entirely like the senior Catalan, and while he has been compared to each of the Trinity (Iniesta, Xavi and Busquets), he brings something more to the table. And he may well have to alter his game based on the path he wants his career to follow. The challenge would be to convert him from a deep-lying playmaker to a more advanced central midfielder. Not an easy transition by any means, but one he will have to make if he wants to succeed at Barca. A Barca with Busquets and Samper in the same sides offers something different, something fresh. His great technical ability makes him one of the most complete players for his age (astonishingly), and being suited to the possession game of Barcelona, he will be able to shine any time that values possession. With few limitations in his style of play, the only hindrance is the lack of minutes in his club, something that will have to be sorted out. While Samper has not spoken out aloud so far, a nod to his humility and awareness of his place, he may well have to do so. If Samper can sort out his playing time, there is no doubt where he will be able to reach in a few years. Looking ahead: While it seems as if Enrique prefers Gerard Gumbau, a fellow La Masia graduate, over Samper, it is well obvious that Samper is the more naturally talented of the two. Game time is always tough to come by at Barcelona, and with the massive shadow of the best defensive midfielder in the world, Busquets, in front of him, he is unlikely to break into the first team anytime soon. Keeping this in mind, it would be best suited for Samper to leave Barca (whether on a 2-year loan like Tello, or a sale with a buy-back option, like Adama), as he simply is too good for the Segunda Division B anymore. Whatever be the case, Samper has immense potential to take over the mantle from Busquets, and the next decision taken by him and the club could be the most crucial to his career. Let’s hope brain rules over the heart, in this case. Introduction: In case you hadn’t noticed, Germany are rather proficient when it comes to producing young talent. While desperate old England frantically announce new hopes at the first hint of potential, plonk a cap atop any precocious newcomer, Die Nationalmannschaft are somewhat more reserved. Heck, even Mesut Ozil had to endure two years intense preparation with the under-21s before the senior squad came calling. Analysis: 23 minutes remaining, a Champions League last-16 tie precisely poised, Leroy Sane receives the ball 20 yards from Iker Casillas’ goal, makes space via a subtle shimmy and caresses a sublime shot into the top corner. There are worse ways to score your first professional goal. Though ultimately futile, The Royal Blues’ 4-3 win that March night in Madrid announced Germany’s worst kept secret to an instantly entranced audience. Dancing across the Bernabau ballroom on just his third Schalke appearance, Sane overshadowed Real’s £200m strikeforce. 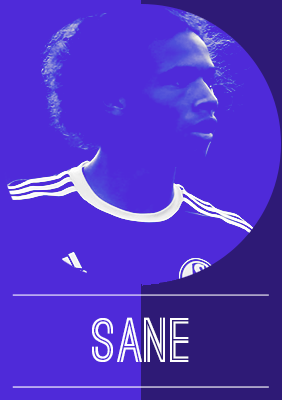 Eight months on, Sane has proved a blinding bright spark in an otherwise dismal 2015. Five goals and four assists this season; it’s not merely the quantity, but the quality and the timing of Sane’s end product that underlines his talismanic status. Winners against Stuttgart and Hamburg, plus a late equaliser versus Ingolstadt, Sane has already honed that invaluable proclivity to step up on request. Meanwhile, his dazzling, scout-enticing solo effort against Frankfurt in late September displayed the depths of Sane’s electrifying skillset. The composure, the vision, the dazzling feet and devastating end product; instinctive comparisons with a certain Argentine continue to nag away. With Klaas Jan Huntelaar’s perpetual decline, the inconsistency of Franco Di Santo and Eric-Maxim Choupo-Moting, Sane is almost single-handedly keeping Schalke’s European hopes alive. Above all, however, Sane epitomises our love of this strangely indescribable sport. He doesn’t run but glides, doesn’t shoot but caresses; his eyes light up in possession, cradling the ball with palpable adoration. Skipping forward in full flight, floating past opponents at breakneck speed; they say football’s greats play half a second quicker. Well Sane seems to play in a different timezone entirely. 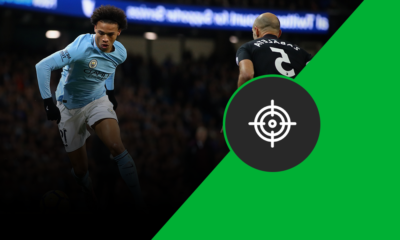 Looking ahead: A year younger than fellow phenomena Leon Goretzka and Max Meyer, Sane is the most exciting graduate of the renowned Veltins Arena finishing school in recent years. While fellow Schalke alumni Manuel Neuer, Benedickt Howedes and Mesut Ozil formed the spine of world-conquering Germany, Euro 2016 could be the making of Leroy Sane. 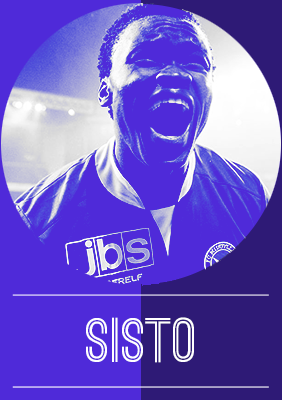 Analysis: When watching Sisto in action, the first thing that is apparent is his exceptional pace and skill with the ball at his feet. He possesses fantastic speed and dribbling ability, making it a nightmare for defenders to try and stop him. Despite starting in a traditional wide position on the right flank, he tends to drift inwards and occupy the space in front of the oppositions’ back line, acting either as a playmaker or a second striker with a license to roam as he searches for that perfect pass. It is arguably when he is playing more centrally that he has the most impact, which was evident on countless occasions last season when he racked up eight goals and four assists in 22 league appearances, whilst his first full campaign two years ago saw the talented youngster hit the back of the net nine times in 29 games in both the Superliga and the Danish Cup. When viewing those statistics it becomes perfectly apparent why some of Europe’s biggest clubs have been sniffing around one of Denmark’s hottest prospects. Due to Midtjylland’s domestic struggles and his recurring minor injuries, this current season has proven to be a slightly tricky one for Sisto, but he has nonetheless impressed when on the pitch, particularly in a Europa League campaign in which he has so far scored two important goals – both against Club Brugge in separate games – to help his side to the knockout round of the competition. Looking ahead: It’s difficult to talk about Sisto’s future without wondering where he could be when the Superliga’s annual winter break comes to an end. His undeniable talent is only set to grow as he racks up more minutes, and uninterrupted game time is crucial if he is to continue developing. He’s well on his way to becoming one of Denmark’s top talents, and it could be just another year or two before he’s a regular starter in the national team. Introduction: Egypt have produced a number of players who have proven their worth in Europe with Mohammad Salah the most notable name in recent times. His emergence in club football meant that every young winger would be in danger of being dubbed the ‘new Salah’. Al Ahly’s 18-year-old winger has largely escaped from this comparison, instead being hailed the ‘new Abu Trika’. Analysis: The youngster has already made a name for himself in Africa and this is mainly due to his exemplary dribbling ability. The 18-year-old plays with a swagger and impishness seen rarely in professional football and often tends to test the line between free spirited and just plain old cocky as seen in the incident against Zamalek. 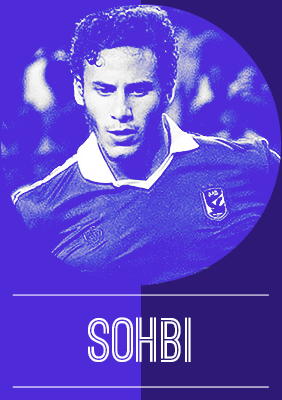 Skilled on the ball, Sobhy focuses on taking on the opposition defenders and invariably getting past them. Deployed mainly on the left wing, Sobhy tends to cut infield both on and off the ball. The youngster is not all flair though as he is surprisingly calm in the final third. He belongs to the class of wingers who can excite and exasperate in the space of a few seconds. Once again his age is an obvious caveat but he needs to mature as a player after securing what looks like an inevitable move to Europe. The key is to not to remove all joy from his game, but to simply harness it to maximise his potential without changing his thrill-a-minute style. Looking ahead: Sobhy has already scaled the national team frontier becoming the second youngest player to represent Egypt, after Mido. His days at Al Ahly seem numbered and wherever he does end up, one thing is for sure, he will soon endear himself to the home crowd and neutrals alike. Introduction: The Eintracht Frankfurt man recently turned 20, born in Kassel, Germany. He joined the Eintracht academy as a 13-year-old boy and made steady progression and made his senior debut against Bayern Munich in 2012. The German was part of the U19 national team that won the World Cup and also played a key role in the U20 Euros, in which unfortunately, Germany did not win. He even announced himself on the big stage of the Bundesliga as a teen in his first start by providing the assist for Marco Russ in the lone goal victory over Schalke. Ever since, it has been a gradual rise for the youngster and there has been no looking back. He is key to the hopes of Frankfurt achieving a top half finish in the Bundesliga and challenge for the Europa spots. Analysis: Stendera is a free spirited player and does not like to stick to a single attacking position. His biggest strength is his quiet versatility that enables him to switch roles between games, but starts and prefers to play through the middle of the field. He is a potent threat to any defense and with his exquisite vision, he is a creative player that Frankfurt are lucky to have and not seen in quite a few decades at the club. Quick feet and a very good dribbler, his mind-foot connection is outstanding, you could say that his brain is a part of his feet as they seem to think and act quicker than one would expect. Strong on both feet, he prefers to take dead ball situations and penalties with his right but has quite a good shot from his left as well. Looking ahead: Wonderful vision in the final third has made him a priced possession for the club and they will soon find it hard to hold on to him from the likes of the big boys of the footballing world. 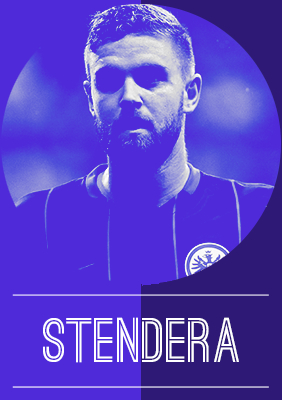 But as a player, Stendera is still a rough diamond and needs lot of polishing before thinking about making a big move. Right now, he has to keep his head down, keep putting in outstanding shifts on the pitch and grow as player, challenge himself to reach newer heights. Germany have a rising star in Stendera and if not properly managed, the outcome could be otherwise. Introduction: Belgium, and indeed Anderlecht, is currently at the forefront of youth production in Europe. Lack of real financial investment in a league brand or individual clubs always leads to better youth production (see: the Netherlands, Germany for a long time, etc. ), and it cannot be argued that something truly special is brewing in the little nation by the North Sea. Anderlecht currently has three young midfielders who are tipped for big things – Dennis Praet, Leander Dendoncker and Youri Tielemans. While Dendoncker is the least spoken of the three (that won’t last much longer) and Praet’s “swagger” on and off the pitch draws him extra attention, it’s Tielemans who, at just 18-years of age, that could end up the most successful of the three. Already the current holder and back-to-back winner of Young Professional Footballer of the Year in Belgium in the last two seasons, and having made over 100 first-team appearances to date, the hype surrounding him most certainly seems to be justified. 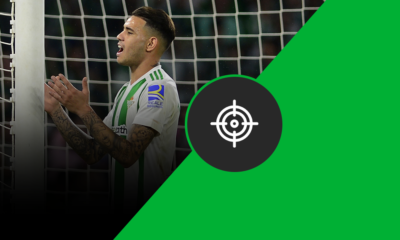 Analysis: As many Arsenal supporters found out during last season’s Champions League group stage, the Belgian midfield prodigy is as close to the complete package that you’ll find in his age bracket. Capable of slotting into all three midfield positions down the spine of the Anderlecht XI (holding midfield, center midfield and attacking midfield), Tielemans can contribute in a variety of roles depending on the tactical deployment that manager Besnik Hasi feels is required. There are goals in his dossier (he’s bagged 14 in his 106 appearances in all competitions, including 3 this term) and has an absolute belter of a shot from distance, but it’s the way that Belgian youngster aids and supports the players ahead of him that makes him incredibly valuable from a tactical standpoint. The Belgian giants rely on plenty of movement going forward and in the final third (again, ask Arsenal about that last season), and along with fellow youngster Praet, the way they interchange together on the pitch gives such fluid movement through the middle and allows the likes of Mathias Suarez, Andy Najar and Stefano Okaka to swap places all along the front three positions. Regardless of where the attacking move is building, Tielemans undoubtedly is behind it – he may not get the assists you’d expect, but much like Santi Cazorla this season, he’s often times the assist beyond the assist. With key performances this season coming thick and fast after a brilliant term last year, Tielemans is right up there in the discussion amongst the most talented midfielders in Europe currently, and his performances in the Europa League have only fueled the hype further. Looking ahead: He may not have gotten his first full international cap, but the fact that Belgian boss Marc Wilmots felt it prudent to give him a call up for their Euro 2016 qualifying match against Wales this past June surely means that many an eye is cast on his development. He’s bound to leave Anderlecht for far greater pastures but his contributions for the national team are what truly matters, and I suspect he’ll be getting a few run outs in the summer of 2018 in Russia. Introduction: In the midst of a very busy summer window, Fenerbahçe had a certain transfer that went a bit under the radar for a lot of the general public. With players such as RvP, Nani, Sen, Souza, Markovic, Kjaer and Fernandão all arriving at the Turkish giants’s headquarters this past summer, the transfer of Ozan Tufan went unnoticed for a lot of people. After a fantastic season with Bursaspor, the midfielder was considered one of, if not the most, promising young Turkish player. This is the exact reason that lead to a 7 million euro transfer to Istanbul, when many expected either a move away from the country or another season playing for the mid to high table club Bursaspor. Analysis: Characterized by his versatility, Ozan started his career as a right back having afterwards moved up to the midfielder. The Turkish excels as a defensive midfielder, but his capacity to play on the right side of the defence is really benefiting – even more so for the national team, where options for that position are often lacking. In the centre of the pitch, Tufan isn’t a positional defensive midfielder. Retaining the tendency to push forward, the youngster is important in transitional play, while still being a quality passer of the ball and obviously contributing defensively. Dangerous for the opposition when with space from outside the box, Ozan netted a couple of goals last season. Looking ahead: As I said I mentioned before, many weren’t expecting Tufan to stay in Turkish lands for much longer but with a five year deal tying him up with the Yellow Canaries, he will have all the time to confirm himself as an essential piece for Vitor Pereira. Something he hasn’t done yet, having only one league start with Fenerbahçe. Already a decently important player for the main national team, he has a really solid chance to be in France for the Euros. Not only that but, if he picks up pace in the second half of the club season, I believe he has a real shot at making the Turkish first eleven. There has never been any question of the talent that resides at Signal Iduna Park. The 2014/15 Bundesliga campaign was a tale of two halves for Borussia Dortmund, but it’s one that ended on a strong note that saw the German giants finish in a Europa League position. Looking to rebound under new headmaster Thomas Tuchel, the spine of Die Schwarzgelben was reinforced with two signings – the gifted and experienced Gonzalo Castro, and German youngster Julian Weigl. While the ability of Castro was unquestioned, Weigl was seemingly a signing of a more long term significance; fast-forward to the present, and you will find that the German youth international is a key piece of the puzzle on the banks of the Rhine. Analysis: With Gegenpress being shown the door when Jurgen Klopp exited the club, Dortmund under Tuchel were reshaped defensively in a passive posture, one that now sees them stand off their opponent and close down passing lanes rather than press their opponent at every opportunity for the duration of the match. Under Klopp, Weigl may have not been a hit, but under Tuchel and the adapted defensive system, Weigl has found a very happy home. Dortmund set up in two different systems this season, the 4-2-3-1 and the 4-3-3, and both of which see Weigl play a prominent role as shield just ahead of the back four. In the 4-2-3-1, Weigl is usually paired alongside German international Ilkay Gundogan, with Gundogan being that box-to-box presence while Weigl fills in any gaps in the midfield and sweeping along the line to respond to any threat. In the 4-3-3, Weigl is the midfield anchor at the bottom of the inverse triangle (while performing the same tactical role as seen in the 4-2-3-1) that sees both Gundogan and Shinji Kagawa pushing forward to join the counter attack. Defensively his responsibilities are to shield and cut off the opposition supply lines, but in transition into attack, Weigl has two different roles that are dependent on formation – in the 4-2-3-1, Weigl’s responsibility is to win the ball and look for the shortest pass option, usually Gundogan, Reus or Kagawa, while in the 4-3-3 however, he still maintains the primary role of winning the ball and passing it off to a more creative source, but Dortmund being more likely to counter in that formation does give him the opportunity to spring the counter himself (this is reflected in the chances and key passes he has registered this season listed in the table above). 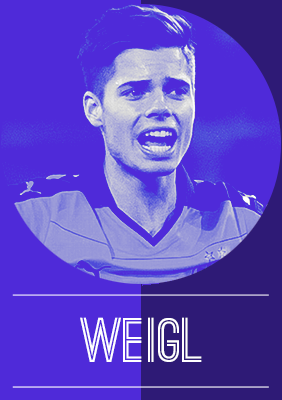 No matter the formation or the competition, Weigl has seamlessly fit into a new club, manager and system. Looking ahead: Still just 20-years old, Julian Weigl has proven from early on in his Dortmund career that he has a bright future. Despite the club having the likes of Sven Bender, Gonzalo Castro and Ilkay Gundogan, Weigl has cemented his place in the first-team for the foreseeable future. Youth is certainly on his side, and with futures always being uncertain of Dortmund’s prized assets, the young German should continue to grow under Thomas Tuchel’s stewardship. Introduction: A side full of young talent, a story of triumph to be retold for generations and a tournament that potentially created legends. Serbian football is at an awkward cross road; heir U-20 side managed to incredibly win the World Cup last summer, defeating Brazil in the final; but their senior side continue to struggle and disappoint, failing to qualify for the European Championship. But with a potentially bright future presenting itself, the likes of Andrija Zivkovic keep the Serbians in high hopes. Analysis: Quick feet, burst of pace and immense confidence, Zivkovic is the full winger package you’d expect from your attacking wide man. One would initially notice his pace, above all, as he flocks his way past defences. It’s immensely difficult to compete with the youngster on foot both on and off the ball with the Serb often seen threading down flanks. His exceptional pace is complemented by his impressive quick feet in tight spaces. With the 19-year-old often seen in and around the box, this attribute becomes crucial especially with a big club like Partizan Belgrade when competing against smaller opposition who often sit back. As a matter of fact, playing for one of the biggest Serbian clubs has helped mould his all-round game tactically. Most young wingers begin to stagnate as their entire game is dependent on space and blades of grass to run onto; and when faced with a side that sits back, their importance becomes redundant. Not Zivkovic though; while he has displayed the stereotypical dependence on space, his ability to work-out openings against a tight defensive set-up has been incredible. This crucially makes him a cut above the rest, offering himself in multiple situations rather than just one specific scenario. Undoubtedly, Zivkovic’s most common move involves the successful cut-and-shoot, as seen by many wide attackers in the modern game. His control of the ball in particular aids this move, being able to handle a congested midfield in the process. It’s also important to note, that unlike other wingers, Zivkovic has a constant motivation to make moves into the box even without the ball. To be able to offer himself as an attacker off the ball and in the box proves to be an attractive proposition for any side. Looking forward: While many famous attackers have come through from the Partizan Belgrade setup, many promise abundantly initially before perishing in the high pressure setting of modern football. Move too soon, and you may struggle while growing past your attractive age make dampen opportunities for the elusive big move. In 2016, Zivkovic needs to play his cards right. There will undoubtedly be offers, the right one for both current career prospects and the future is the choice he needs to make.